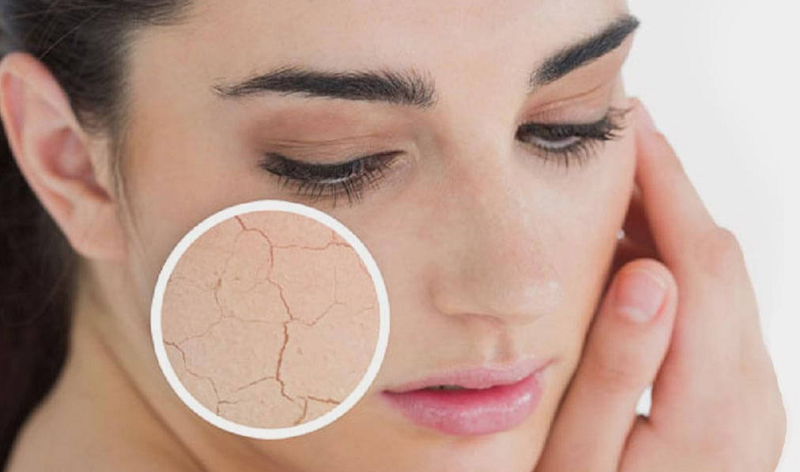 If you have flaky, dull, dry skin, you might feel like you look years older than you are. Makeup only seems to highlight the problem instead of hiding it. You need one of the best moisturizers for dry skin to rejuvenate your face. Aloe vera and Vitamin E heal rough skin, and Vitamin B3 helps the skin form a protective barrier against environmental damage. Emollients like jojoba oil, coconut oil, and shea butter lock in moisture so skin stays soft and hydrated for longer. Jojoba oil is a plant derivative that’s non-comedogenic because it’s very similar to the sebum, or the oil that human skin produces. Hyaluronic acid is a natural substance that’s found in skin, but the amount diminishes with age, so it’s a great idea to add more with a moisturizer. It’s a humectant that draws water into skin to hydrate it. Grape seed oil and glycerin are also good at helping skin soak up moisture. Now let’s take a look at reviews of the top moisturizers. Vichy is a skin care brand sold in pharmacies in Europe because it’s not a run of the mill drugstore brand. It’s pricy, but there are some very high quality products in its lineup. The Aqualia Thermal Rich Cream is especially good at reviving dry skin and making it young again. It won an International Beauty Award from Elle in 2015. Vichy says the Aqualia cream’s effects last up to 48 hours after it’s applied. The formula is based on volcanic thermal spring water plus hyaluronic acid, glycerin, and shea butter. It’s oil-free and safe for sensitive skin, and it has a creamy texture that sinks in fast. Women who used it for 4 weeks were asked questions about their experience with the moisturizer. Over ninety percent reported that their skin felt hydrated all day. Some people prefer to use the Vichy Thermal Rich Cream only at night, and use this Fortifying Lotion with sunscreen during the day. The lotion protects against both UVA and UVB rays with avobenzone 3%, octisalate 5%, and octocrylene 7%. It has a much lighter texture than the Rich Cream, but still hydrates skin for up to 24 hours. Neutrogena is a well-known brand used by women and men all around the world. Their Hydro Boost Gel is designed to moisturize extra-dry skin without clogging pores or irritating sensitive faces. It’s based on hyaluronic acid, olive extract, and glycerin. Neutrogena says the hyaluronic acid alone adds up to 1,000 times its weight in water. The ingredients reveal that this moisturizer is free from oils, dyes, parabens, and fragrances. St. Ives has popular products that are inexpensive and effective. Their Collagen Elastin Moisturizer is based on safflower seed oil and glycerin to hydrate and soften skin. The formula encourages your skin to make more collagen and elastin, the support system that prevents wrinkles and sag. If you have sensitive skin, this formula might be a little heavy for you since the second ingredient is mineral oil. On the other hand, it’s smooth and thick, perfect for softening and protecting dry skin. There are no parabens listed on the label. Murad’s Anti-Aging Moisturizer with Broad Spectrum SPF30 contains ingredients that fight wrinkles and acne, making it a favorite product among adult users. Users report that this lotion is light and smooth and sinks into skin quickly. It’s good at controlling oil while leaving skin satiny, not matte and dry. The ingredients list is quite long and contains highlights like willow bark extract, Kombucha collagen defense, black tea extract, Vitamin E, and tea tree oil. There are no parabens, but the SPF30 sunscreen is based on chemicals like avobenzone, homosalate, octinoxate, and octisalate. Wear this one during the daytime, then use the Murad Perfecting Cream below while you sleep. If you wear the Murad moisturizer with sunscreen during the day, pamper your skin while you sleep with Murad’s Perfecting Night Cream. It uses fatty acids, sunflower oil, green tea, and Vitamin E to regenerate and rehydrate your face overnight. Some users have commented that they notice their wrinkles are fading and their pores are shrinking after using the Night Cream for a few weeks. And although it’s a “cream,” it’s lightweight and doesn’t leave an oily residue on skin. Garnier’s SkinActive Moisture Rescue Cream seals in moisture for up to 24 hours after it’s applied. It’s oil-free and feels lightweight on skin. You can use makeup over top of it with no problem. Some people use it day and night, some only use it at night. There are no parabens in the formula. If you have very dry skin, try applying this in the morning. You can wear it under makeup because it absorbs into skin without leaving a greasy residue. Eucerin’s Q10 Anti-Wrinkle Face Crème is an unscented, non-comedogenic, alcohol-free moisturizer to apply day or night. The Coenzyme Q10, Vitamin E, and Beta-Carotene to plump up your skin and erase wrinkles and fine lines. Eucerin says you should see a noticeable difference in 5 weeks or less. Makeup wearer say this Botanical Facial Moisturizer from Carapex makes their makeup go on easier. They like its smooth, lightweight feel, and how their skin feels softer. Carapex says the moisturizer is free from dyes, sulfates, fragrances, parabens, and was never tested on animals. Its water-based formula contains all natural plant oils like avocado, olive, sunflower, grape seed, mango seed, and almond, that don’t clog pores or make skin greasy. It also contains shea butter and hyaluronic acid to help skin hydrate and retain moisture longer. Själ Cela’s Intuitif Crème is packed with anti-oxidants to reverse signs of aging. The formula stimulates collage production to erase wrinkles. The natural fruit acids exfoliate dead, dry skin to unclog pores and make skin feel soft and look young. It also evens out skin tone with pearl and licorice. The Lavo Daily Moisturizer Cream is made for both men and women. It’s fragrance-free and paraben-free, as well as cruelty-free. The ingredients list includes hyaluronic acid, hops, sage, ginseng, rosemary, allantoin, aloe vera, azulene, wheat germ, hazelnut, safflower and avocado oils, and Vitamin A, B, C, and D. Lavo explains that all these natural components add moisture to skin, soothe and tone it, and shrink pores. It absorbs quickly and leaves a matte finish for wearing under makeup. You can enjoy it both day and night. L’Oreal Paris designed their Hydra Genius Daily Liquid Care to heal extra dry faces. One of its main ingredients is hyaluronic acid to draw moisture from their aloe water base right into your skin. This infusion lasts up to 72 hours. The formula does not contain parabens. Instead, it’s packed with nourishing ingredients like glycerin, shea butter, and meadowfoam seed oil. Philosophy’s Renewed Hope In A Jar makes skin feels fresh, soft, and healthy. The ingredients include alpha hydroxy acids to shrink pores and fine lines while it hydrates skin. You can use it both morning under makeup and at night. The formula doesn’t have parabens, sulfates, or phthalates. Christina Moss’ Naturals Face Moisturizer is good for day and night use, for both men and women. It’s non-comedogenic, and free of parabens, petrochemicals, sulfates, dyes, synthetic fragrances, synthetic preservatives, and propylene glycol. It’s also cruelty-free. The moisturizer has a natural scent of licorice because that’s the natural preservative they use. The other ingredients sound just as tasty: (certified organics) aloe barbadensis leaf (aloe vera) juice, prunus armeniaca (apricot) kernel oil, vitis vinifera (grape) seed oil, persea americana (avocado) oil, glycerin (vegetable), stearic acid (vegetable), emulsifying wax made from organic coconut oil and organic almond oil), and pimpinella anisum (star anise) seed oil. LilyAna Naturals uses organic components whenever possible, leaving out parabens and artificial fragrances. Their Face Cream Moisturizer is aimed at adults who have begun to see signs of aging and want to erase those lines and wrinkles and age spots. It can be applied both day and night, but it doesn’t contain a sunscreen. The formula is made to be non-irritating and safe for all skin types. It contains rose distillate, aloe vera, Vitamins A, B5, B3, E and C, orange extract, kosher vegetable glycerin, avocado oil, meadowfoam seed oil, and Coenzyme Q10. If the ingredients seem to have separated, that’s normal. Simply stir before you apply it. While guys could use any of the lotions or creams we’ve covered this far, they may appreciate Brickell’s Daily Essential Face Moisturizer. It’s non-comedogenic and made for any skin type. It doesn’t have petroleum derivatives, sulfates, parabens, phthalates, synthetic fragrances, or color, DEA, glycols, silicones, gluten, or PEGs, and it wasn’t tested on animals. Instead, this formula is based on mostly certified organic materials like aloe, rooibos (red) and green tea, jojoba oil, glycerin, hyaluronic acid, white willow bark extract, and Vitamins B3 and E. It also contains peppermint, lemongrass, and eucalyptus oils. Users say they love this lotion, and it works exactly as described, leaving their skin soft and hydrated. Use a gentle cleanser that won’t dry your face; avoid soaps. Exfoliate to remove the top layer of dead skin so moisturizers can penetrate deeper. Use a masque for extra hydration once or twice a week. Wear a heavier moisturizer at night. Wear sunscreen during the day so the sun doesn’t dry out your face. Wash your face with lukewarm water instead of cold or hot. Take care of the rest of your body with nourishing lotions. No matter your age, it’s never too late to turn back time with some pampering. Besides treatments for your face, you probably know that it’s a great idea to drink plenty of water, smoke less--or not at all, and eat healthy, fresh foods. We hope that today you found the perfect moisturizer for hydrating dry skin. You can your face healthy and your skin soft with a little TLC each day. Come back soon to see more reviews of the newest and best in skin care and beauty products.